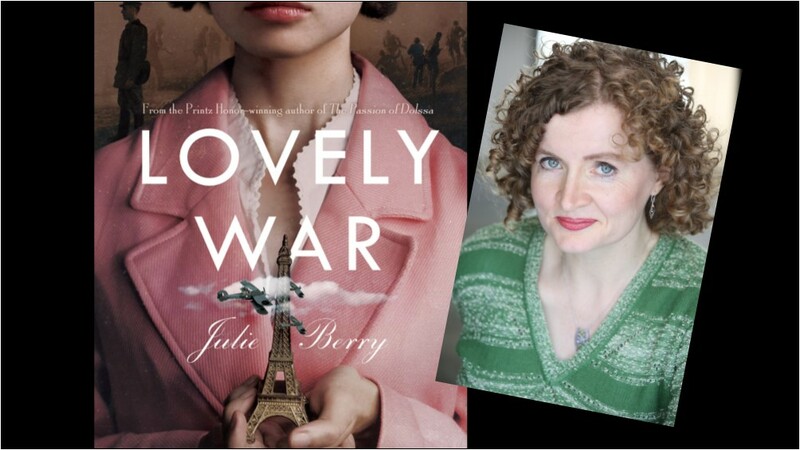 We are thrilled to welcome Printz-award winning author Julie Berry to Woodstock on her New England tour for her latest novel: Lovely War. Join us for an evening discussion of Greek gods, World Wars, and what Kirkus reviews calls "divinely inspired" storytelling. A sweeping, multi-layered romance set in the perilous days of World Wars I and II, where gods hold the fates–and the hearts–of four mortals in their hands. Julie Berry is the author of the 2017 Printz Honor and Los Angeles Times Book Prize shortlisted novel The Passion of Dolssa, the Carnegie and Edgar shortlisted All the Truth That’s in Me, and many other acclaimed middle grade novels and picture books. She holds a BS from Rensselaer in communication and an MFA from Vermont College. She lives in Southern California with her family. You can learn more about Berry and her books at her website.